Soccer, volleyball, flag football, karate, basketball, gymnastics—check out the sports offerings at your Y and get in the game. We offer a variety of programs for youth and adults, including recreation, leagues, camps and clinics. 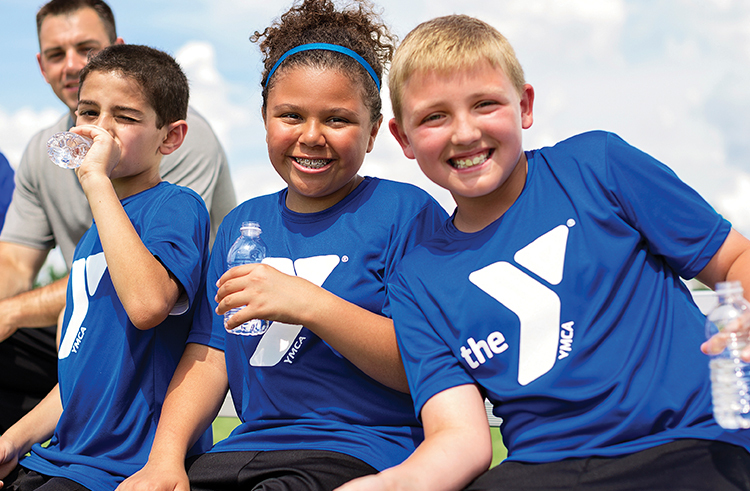 Improve your skills, make new friends, be active and learn to love a sport at the Y. Programs vary by location and date. Click here for complete offerings, details, registration information and rates. Our basketball program combines team play and individual skills in a fun and supportive environment through our basketball leagues, clinics or classes. Kids can develop their basketball skills including passing, receiving, shooting, footwork and dribbling. Not only will they have an opportunity to improve their technique, but they’ll also build social skills, gain confidence and develop leadership skills. We offer a variety of martial arts classes for youth and adults including Karate, Tae Kwon Do and Tai Chi. Participants will develop discipline, confidence, respect, focus, and self-defense skills in a fun and safe environment. Training is offered in a variety of levels, ranging from beginners to those who are ready for Black Belt testing. Soccer is the most popular sport in the world. The YMCA of Delaware is one of the best places to learn and play this worldwide game and have a lot of fun while doing it! YMCA soccer emphasizes fun, teamwork, sportsmanship and inclusion for all, while encouraging kids to be active – a benefit to them both physically and mentally, as active kids are not only healthier, but do better in school. Get ready to move! We offer tumbling, movement (for toddlers), and gymnastics classes for youth. Depending on the age and ability of the child, participants will stretch, enhance their flexibility, learn and master certain moves. Parent/child classes are also available for preschool children who are not yet ready to participate alone. BUMP, SET, SPIKE! Youth learn new skills, make new friends, develop essential character traits, and set individual and team goals. This improves self-confidence, promotes diversity, increases self-esteem, and improves physical condition. Youth Sports puts emphasis on healthy relationships between adults and youth as well as family, with a goal to build social skills and sport skills with all participants for the future. At the Y of Delaware, we have so much to offer, it’s hard to list it all! For a full, current schedule of sports programs, please click here.